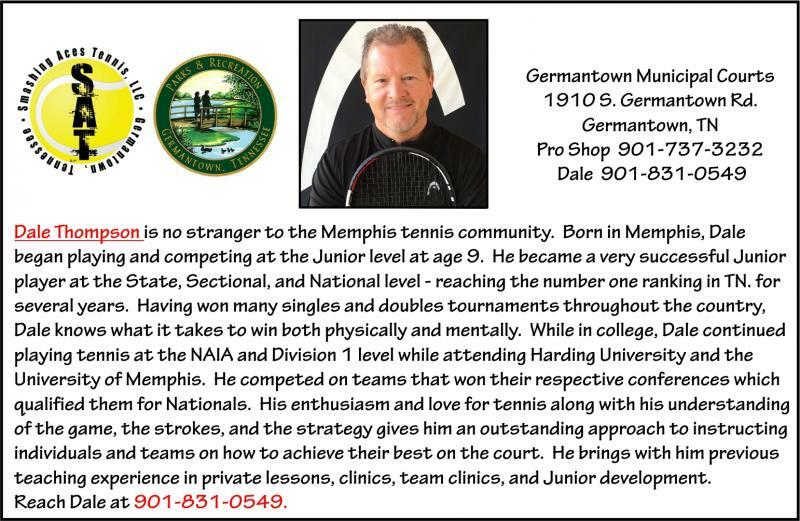 ﻿﻿﻿﻿ ﻿Smashing Aces Tennis, LLC operates the Germantown Tennis facility professionally and with customer service in mind to keep local tennis players coming back to the courts. 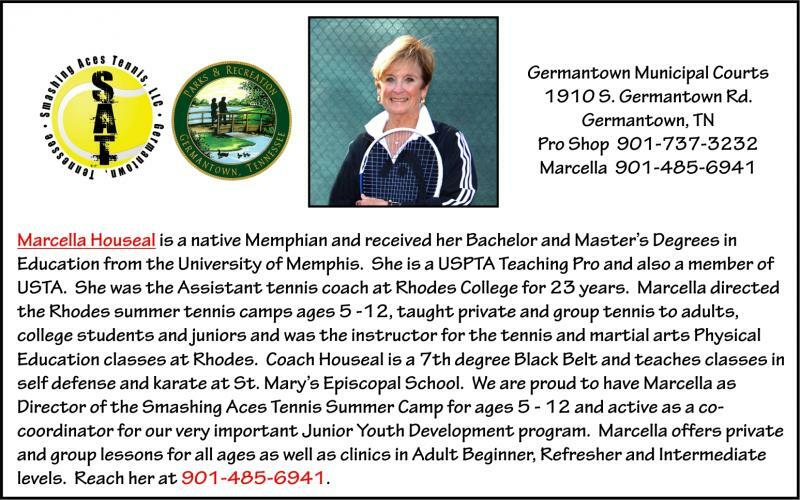 Germantown Parks and Recreation has 26 public tennis courts around town. They are all on a 'first come, first serve' basis with lights available for night time play. Courts are reserved for USTA league play and additional tournaments and events with signs from Smashing Aces/GPR being posted at the specific courts. We want to help you improve with your tennis game whether you play USTA, recreational leagues or attend classes or clinics. 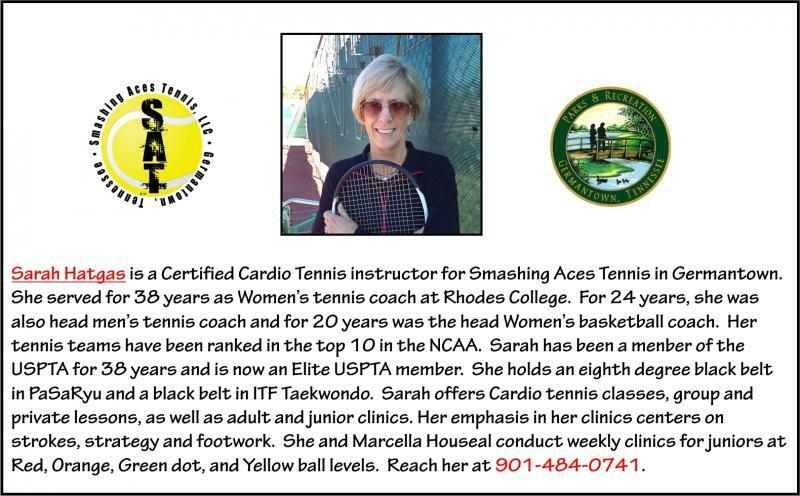 Smashing Aces Tennis offers tennis for all ages, genders and levels. 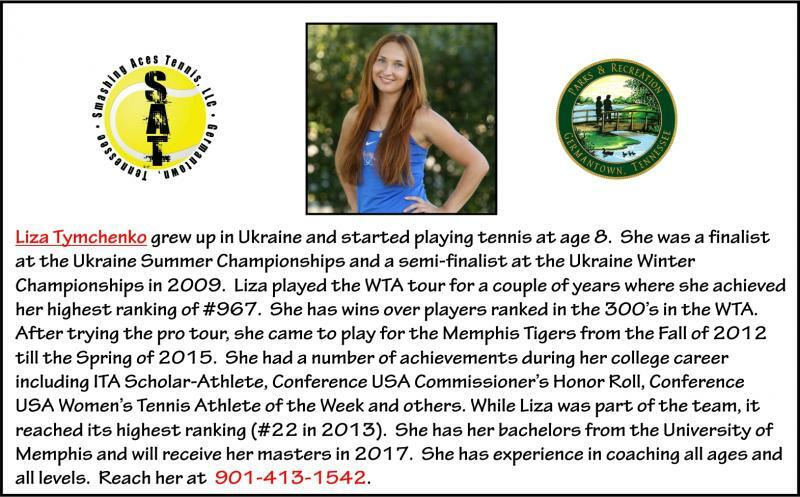 Contact us at any time to set up a lesson or maybe even a team practice for your USTA team. We offer racquet stringing along with HEAD strings, overgrips, grips, and Penn tennis balls and etc for purchase to make sure you are ready to hit the courts! Copyright 2014 Smashing Aces Tennis LLC. All rights reserved.